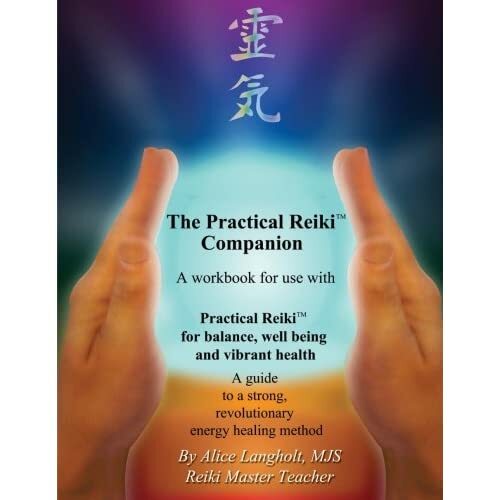 The Practical Reiki Companion is HERE! In response to student request, I’ve created a workbook for Practical Reiki students and teachers. It’s called The Practical Reiki Companion, and it’s now available! Also, I realized that the process of writing down reflections creates an important change for the student. If you know that after you complete this healing session, you will be writing down what you experience, think and feel, you will be in the mindset of paying attention during the session. The “assignment” cues your left brain to stay focused and present, which in turn increases your ability to tune into the right brain’s feed of intuitive sensations. It’s amazingly powerful as a tool for mindfulness and strengthening your intuition. This process will accelerate your ability to feel the strength of the Reiki energy. My goal is to empower every student with confidence in his or her ability to work with Reiki. This workbook is designed to do exactly that! It’s also an excellent tool for the student who completes Practical Reiki training and wants to teach others. Having the logs of your attunement experiences and healing practices will enable you as a teacher to reflect and share some of the unique and powerful experiences you had while learning, thus enriching the learning for your students. And I’ve also included several attunement logs for the teacher, so it’s easy to keep track of how passing on attunements went on the teacher and student end. This workbook is designed to take you from beginning the journey to helping others to do the same. I’m proud and excited about the Practical Reiki Companion! Those who have had an advance peek, and the first student who is currently using it and giving me feedback all share this excitement. If you’ve already learned Practical Reiki, I encourage you to get one to transfer your notes from your learning into this keepsake. If you’re beginning to learn Practical Reiki, you need this. It will help you, empower you, deepen your learning and accelerate your growth. If you’re teaching Practical Reiki, this is for you and for your students. You will be a stronger teacher and your students will be successful because this tool will be part of their journey. Thank you to the students who encouraged me to create The Practical Reiki Companion and waited with excitement. It’s here! You can order autographed copies and get a package discount for the book and the Companion here. You can order direct shipping from the publisher here (Use discount code F6TTENE5 for 15% off) and find it on Amazon here. When you get yours, please leave a review on Amazon if you would! Thank you all. It helped me learn so much about learning to write this, and I know it’ll be a great service to Practical Reiki students and teachers around the world!